Hailing from the flatlands of Cheshire, the steep fells of the Lake District and the limestone landscapes of the Yorkshire Dales have always held a special place in Ian Boydon's heart. He has now been visiting the national parks with a mountain bike for almost 20 years – starting as a 15-year-old on a fully rigid Diamondback. After graduating in History then training as a journalist, a reporting job on local newspaper The Westmorland Gazette enabled him to move northwards and have his favourite trails within easy reach, and he has spent years exploring the national parks' bridleways in search of the ‘holy trail’. 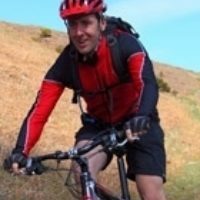 Now working in public relations, Ian still lives in the area and can be found in the Lake District and Yorkshire Dales on most weekends, riding his favourite routes.